When you first catch a glimpse of Revere's grounds, you may need to do a double take. Amidst the tan of the Las Vegas desert lays this expanse of grasslands, decorated to perfection with an array of tall ferns. At one end of the property, guests can witness a tropical waterfall which rounds off how out of place Revere looks. Though you may feel like you're in a tropical paradise, you've simply stepped into another of Las Vegas' premier golf clubs. 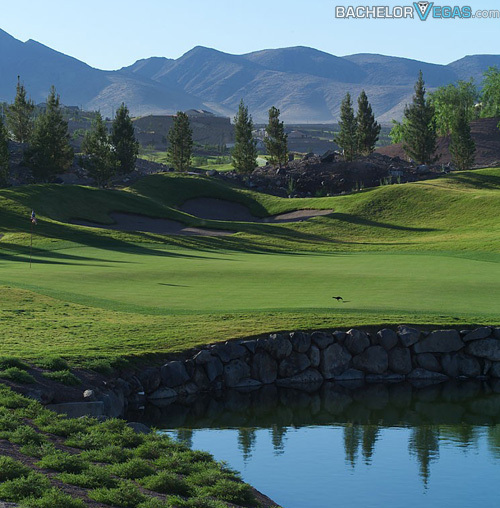 Lexington Golf Course has designed through the partnership between famed architect Gregory Nash and PGA Pro Billy Casper, Revere offers an inspirational and practical experience that easily stands up against Vegas' top golf clubs. 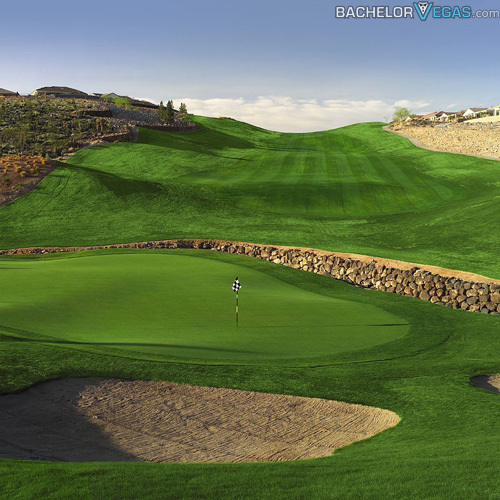 Nash and Casper have designed some of the world's top golf courses, and their work on Revere is far above par. 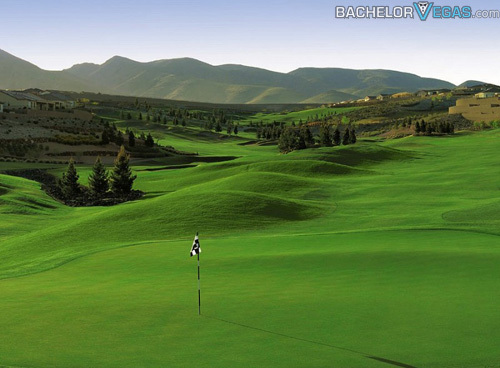 The duo's reputation of utilizing strategically placed hazards, large greens, and wide landing areas has carried over into the Lexington Golf Course at Revere, and does all but disappoint. Revere is one of the best locations to work on your golf game, as it offers a four hour training course taught by one of the club's professional instructors. The initial two hours of the course will introduce the fundamentals of golfing, starting with grip techniques and finishing off with putting. After the two hour instructional lesson, students will take to Revere's Lexington golf course to put what they've learned into action. Revere's four hour training includes a lunch and equipment and has a 4-student maximum, which ensures students get the hands-on instruction they're paying for. Once you can peel your eyes away from the beauty offered by Revere's course, you should find your way inside of the elegant clubhouse. Placed in the top 100 golf pro shops in the world, Revere's retail experience is heightened with high-end vendors like Ecco, Devant, Oxford Golf, Oakley, and Adidas Golf. A tour of the clubhouse will lead you to Buckman's Grille – Revere's fine dining establishment. Fresh entrees and appetizers compliment Buckman's menu, and the breathtaking view of the grounds helps to rounds off every meal. Like many clubhouses these days, Revere is the perfect place to hold an assortment of events. Unlike many rival clubhouses, though, Revere's Lexington golf course offers a large range of amenities to plan the perfect event – be it a corporate luncheon or wedding. The option of a buffet dinner gives your guests the best opportunity to move around and enjoy the view. With the option of a dance floor and a customizable ice sculpture, Revere is the perfect place to exchange your vows. Revere has taken home awards like Golf World's "2010 Readers Choice Award" and a rating of four and a half stars from Golf Digest. A quick glance at everything this golf club has to offer, and these awards more than make sense. The serene surroundings and separation from the big, noisy city make Revere the perfect escape for any golf connoisseur. Played at the Lexington Golf Course?